This was a good year for Alberta audiophiles, with plenty of incredible albums released across the province. Ruth B's Safe Haven, Leeroy Stagger's Love Versus and AM Static's Rise & Shine are among the Top 10 picks from Katherine Duncan, who hosts Key of A on CBC Radio One. This was a good year for Alberta audiophiles, with plenty of incredible albums released across the province. More than ever this year, Alberta artists stretched their creative boundaries to earn a place in the hearts and minds of music lovers at home — and away. Katherine Duncan hosts Key of A, which showcases the work of Alberta musicians on CBC Radio One every Saturday from 5 to 6 p.m.
Duncan listened back to all of her shows from 2017 to put together a list of albums that stood out. Here's a roundup of a few of her favourites from the Key of A, including a mix of musical styles from roots to R&B, folk, country, vocal jazz, electro-pop and more. Ruth B had a big year in 2017. The R&B singer was named breakthrough artist of the year at the Juno Awards in April, then released her debut full-length album Safe Haven on a major record label, Columbia Records. She played the CBC Music Festival in Toronto, plus was featured as part of MusicCounts and CBC's Music Class Challenge. 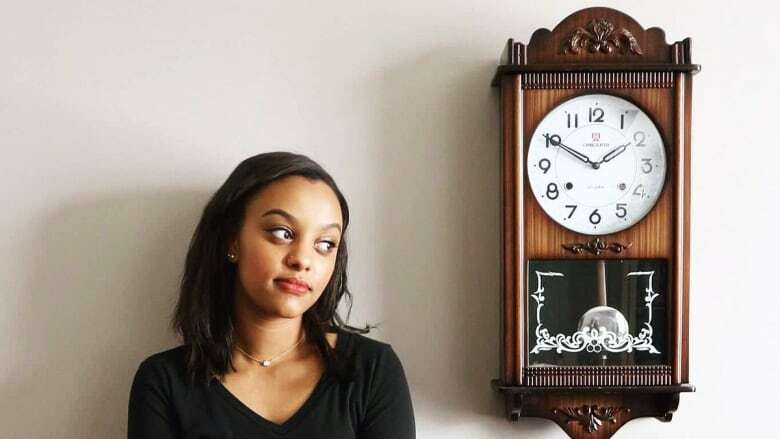 The poppy soul singer was born and raised in Edmonton, with an incredible origin story dating back to a now-defunct social media website called Vine. "She released a six-second Vine of her singing this little song called Lost Boy," Duncan told The Homestretch on Friday. "It just took off. People loved it, they were intrigued by it." Duncan said that before long, three major record labels were calling the 22-year-old songwriter. She ended up signing with Columbia. Alt-country singer Leeroy Stagger turned his $100,000 top prize win at the 2015 Alberta Peak Performance Project (now known as Project Wild) into a refit for his recording studio in Lethbridge, where he's helping refine the sound of several emerging artists from western Canada. This year, he released his 11th studio album, but the first recorded at his home studio. Duncan says Stagger shares a wide-open, positive attitude on the album, Love Versus. It won him the Canadian Folk Music Award for Solo Artist of the Year. "You don't see that many Albertans getting nominated and winning those awards, so it's kind of a big deal," Duncan said. Lindsay Ell grew up in Calgary, where she started making a name for herself as a guitarist and songwriter while still in her teens. Ell might live in Nashville now, but she comes home to Calgary to visit her parents at Christmas. With her new full-length album, The Project, she says she's finally found her voice as a songwriter. As for her guitar playing, that's still front and centre. "I think she's really found her voice with this latest album," Duncan said. "It's just kind of about waiting for love and waiting for somebody to be the right one, and in a way, it's also about her career as a musician, too." With this excellent debut album produced by music star Johnny Reid, J.J. Shiplett stepped into the spotlight to take his place on some of the country's biggest stages. He also cleaned up at the YYC Music Awards. This Calgary electronic duo might remind listeners of experimental group Boards of Canada. Actor Chris Austman and recording engineer Nils Mikkelsen craft tracks that Duncan describes as "whimsical, catchy and well-produced." It's a blend of electronic and acoustic sounds overlaid with warm, pop vocals — hard to describe, maybe, but very easy on the ears, Duncan says. Take a listen to their song Already Gone here. You might remember Edmonton's Alex Vissia. She grew up singing country music with her family band, the Vissia Sisters. Now performing under the name Vissia, she's released a roots/rock debut album, Place Holder, on her own music label, Hurry Hard Records. It's an impressive, swaggering way to say hello to a new voice, Duncan says, with a bluesy, adventuresome vibe that makes the songs a must-listen. A graduate of Rhea March's U22 program and School of Song, Braden Gates earned a rare spot performing at the Canadian Folk Music Awards gala this past November in Ottawa. Take a listen to some of the music that earned him two nominations for his excellent record Much Rather Be Sleeping. Calgary-based Raleigh tapped into the creativity of some of Canada's top music producers, including Broken Social Scene's Brendan Canning, when they recorded their album Powerhouse Bloom at the Banff Centre for Arts and Creativity. The result, an album that stretches the artists — and their listeners — in the best possible way. Now she and Montreal-based partner-in-music Renny Wilson are taking their love of retro sounds and cute emoticons to a whole new level. ​This jazz vocalist and composer from Edmonton writes angular, clever songs, and brought together a top-notch ensemble to record this collection of songs about moonlight, stars and the night. Check out the subtle way Chipman pays tribute to her late musical idol David Bowie on her song Starstruck, below. Have you got a favourite album or song from an Alberta musician or band that's not listed here? We'd love to hear your suggestions! You can reach out to Katherine Duncan directly on Twitter at @cbckeyofa or post your favourites in the comments below.